Professor Linda Galler’s comments on a recent Internal Revenue Service disciplinary proceeding are featured in the September 2009 issue of the Journal of Taxation, in the “Shop Talk” column. Professor Galler’s observations pertain to a decision by an administrative law judge on a complaint brought by the IRS Office of Professional Responsibility against an attorney who had provided “short form” tax opinion letters to a client investing in a transaction that was successfully challenged by the IRS. 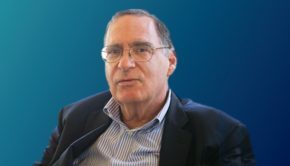 Professor Galler teaches a course on Ethics of Tax Practice and is the author of “Regulation of Tax Practice” (Lexis Publishing) (forthcoming 2010).